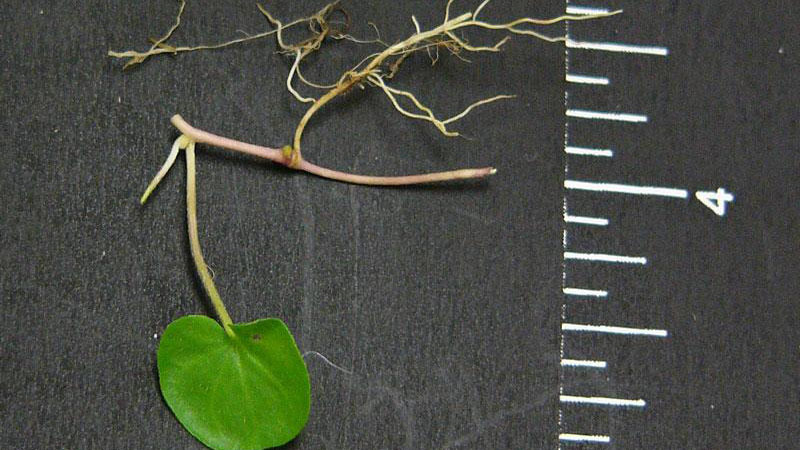 Dichondra is a perennial, spreading by slender creeping stems that root at the nodes. It forms mats not over 11⁄2 to 3 inches tall. 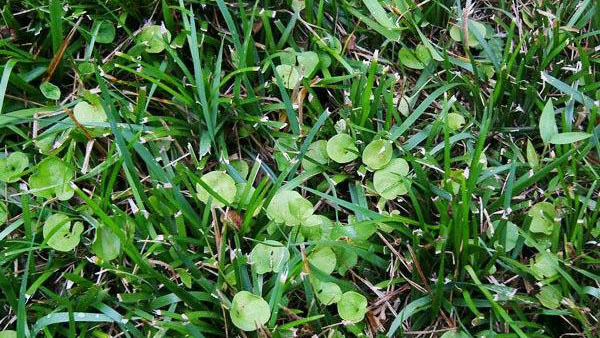 The kidney-shaped to nearly circular leaves grow alternate to each other, sometimes appearing whorled on the stems. The white to greenish small flowers are borne in clusters in the leaf axils below the level of the leaf. 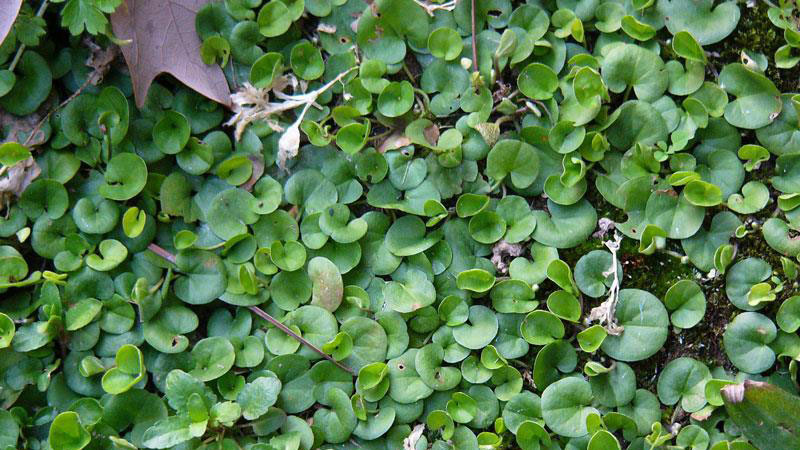 Dichondra is cultivated as a ground cover in some states. Figure 1. 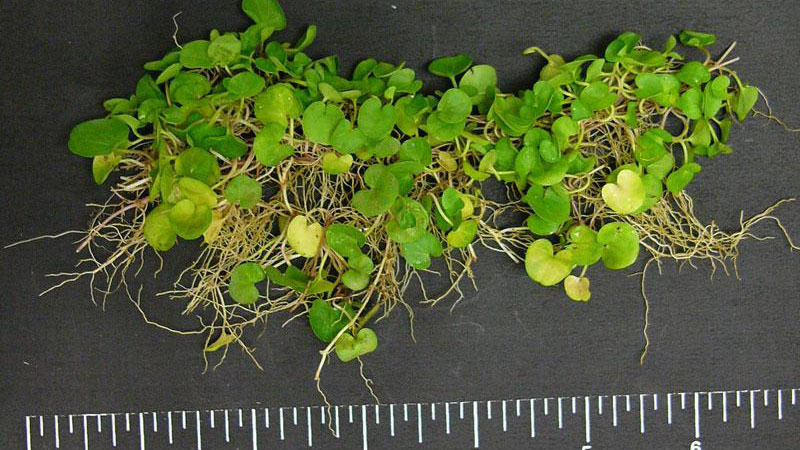 Dichondra growth habit. Figure 2. 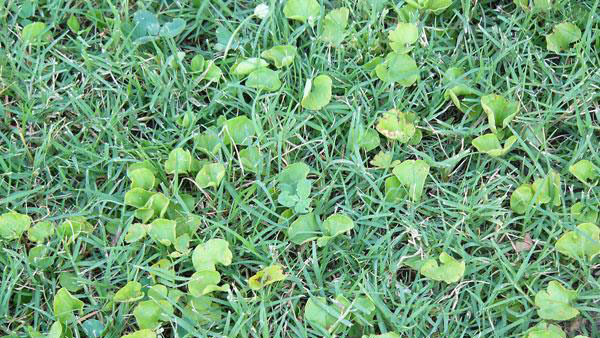 Dichondra growth habit. Figure 3. Dichondra growth habit. Figure 4. 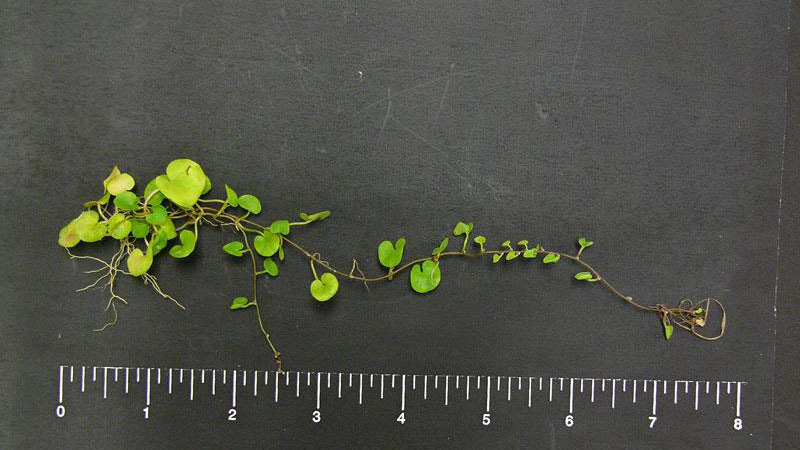 Dichondra growth habit.